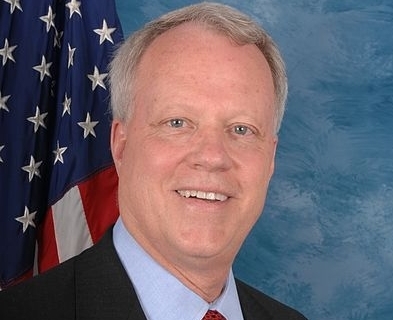 Republican Representative Paul Broun from Georgia was speaking to a group of Christians at a sportsmen’s banquet at Liberty Baptist Church in Hartwell when he made the statement. In addition to talking to the gathering about his experiences in hunting, he referenced his belief in the Creator. Broun explained to the group that his office is decorated with hunting trophies, and that he once shot a bear in the heart, but it kept running for approximately 15 minutes. “How that bear did that, I don’t know,” he said. In addition to serving in Congress and participating in the federal Science and Technology Committee, Broun works as a medical doctor. He says that he felt led of the Lord to run for office in the 1990’s, but it was not until 2007 that he succeeded in his election efforts. This year, Broun is running unopposed — both by Republicans and Democrats. “I hold the Holy Bible as being the major directions to me of how I vote in Washington, D.C., and I’ll continue to do that,” he declared. Broun’s comments have been posted on YouTube, where the Congressman can be seen surrounded by rows of mounted deer trophies. The video has already attained over 70,000 views.